John Nicholson’s cross-country course at Kihikihi, in the Waikato, has often been described as three-star plus, so it is fitting that the annual Kihikihi horse trials host the national eventing titles again this year. The event will have a truly international feel with Pierre Michelet (FRA) the Technical Delegate and Annabel Scrimgeour (GBR) a member of the Ground Jury. Sponsored by the Waipa District Council, which has been unwavering in its support of the Kihikihi Domain as a premier equestrian venue, the Waipa Home of Champions CIC3* class has attracted a field of fifteen. Samantha Felton and Ricker Ridge Escada return to defend their title, but will meet tough competition from Clarke Johnstone on Balmoral Sensation, both local riders from Matangi. The best of the Kiwi eventers at the 2016 Rio Olympics, ‘Ritchie,’ as he is known, was re-acclimatising last year, so did not contest the Forest Gate Trophy, which they won in 2015 at Arran Station. However they are in top form again this year, having won the Eventer of the Year title at the Land Rover Horse of the Year Show in Hastings a fortnight ago. Runner up there was Nick Brooks, from Cambridge, riding For Fame, the horse having his first three star start, so they will face another big challenge at Kihikihi. Riders’ representative Bundy Philpott, Cambridge, and Tresca NZPH, the runners up at Kihikihi last year, won the Puhinui CCI3* (long format) in December, so must be respected, while Donna Edwards-Smith, Te Kauwhata, can never be discounted. She has DSE Tangolooma back in action after time out with injury, and on top of his game with a win at Puhinui in the lead up to the Horse of the Year Show. Former Olympian Heelan Tompkins, Tirau, returns to the big time after the birth of her second child, aboard her promising grey Snow Leopard. He was with Jock Paget during her pregnancy, so continued his progress while Heelan was out of action. Two members of the New Zealand Oceania Young Rider team are stepping up to elite level; Abigail Long, Levin, on the experienced Enzo, and Renee Faulkner, Papakura, on Rubinstar HH, who was bred to do dressage but prefers to jump. Renee seems to have found the key as they were second at Puhinui in the lead up to Horse of the Year, and produced another good test there. The Weatherbeeta CIC2* class has attracted 40 starters, not all of whom are eligible for the Waiteko Trophy. While the class is open, the title will go to the best performed combination with no more than two qualifying scores at a higher level. Defending title holders, Brooke Campbell, Albany, and Freddy Dash, were surprise champions last year, but are well established at this level now. There are plenty of well performed combinations to challenge them however, including Holly Rose (nee Morrell), Taupo, on Pampero, who won their lead up event at Paekakariki to move to the top of the Equissage Pro-Am Rider series. Louise Mulholland, Taumarunui, is not far behind on Mr McTaggart, while Abby Lawrence, Te Puke, won the 2* class at the Horse of the Year Show on Anonymous. Another to watch is former South Islander Madison Crowe, now an accountant in Hamilton, on Waitangi Pinterest. 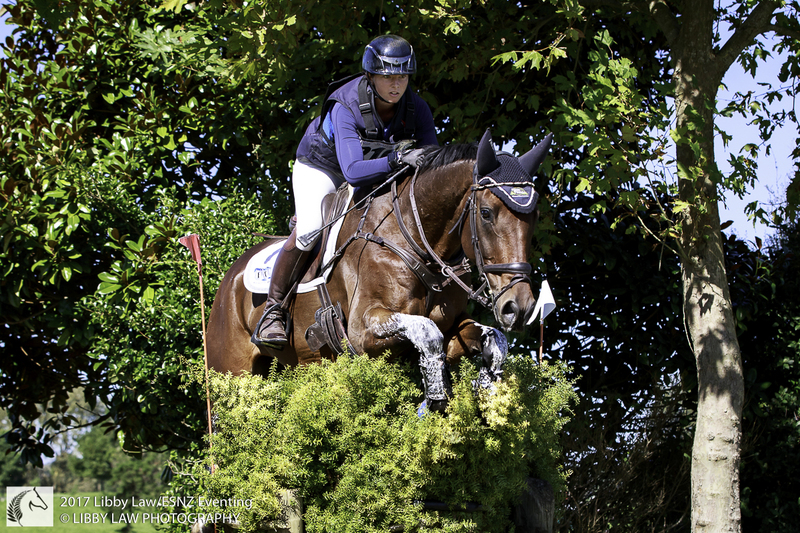 This combination, who are based with Clarke Johnstone, are the current National Three-day Event CCI2* champions, having won at Taupo in May last year, winning the Pro-Am series in the process. Forty-five combinations will vie for the Ferndale Salver in the Wade Equine Coaches CIC1* Championship. Always keenly contested, these novice horses are the potential stars of the future. Ones to watch are Shannon Galloway, Hamilton, on Day Walker, who lead the PEL Amateur Rider series, and Caroline Howell, Hastings, on Telestory, who has an outstanding lead in the Junior Rider series. The JLT Insurance CNC105 Championship class has thirty-four entries contesting the Tait Trophy. Clarke Johnstone has one entry, and Donna Edwards-Smith has three, but youngster Scout Lodder on Overnight Success, the winners of the CCN105 (long format) at Puhinui in December, could well chase her seniors again here. Non-championship classes are also being run at 1* and 105 levels, making a total of 270 horses all up, so there will be plenty of action on cross-country day. The dressage takes place on Friday, Saturday is cross-country day, with the showjumping run in reverse order of merit on Sunday, which ensures an exciting climax to the event.